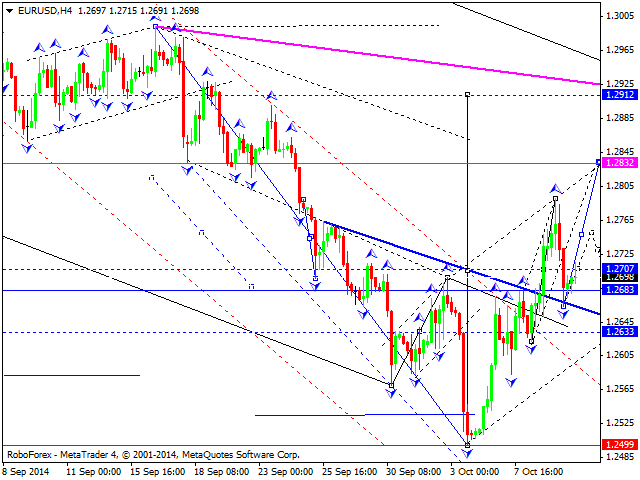 Euro is still moving inside a descending structure, which may be considered as a correction towards level of 1.2630. We think, today the price may form a consolidation range. 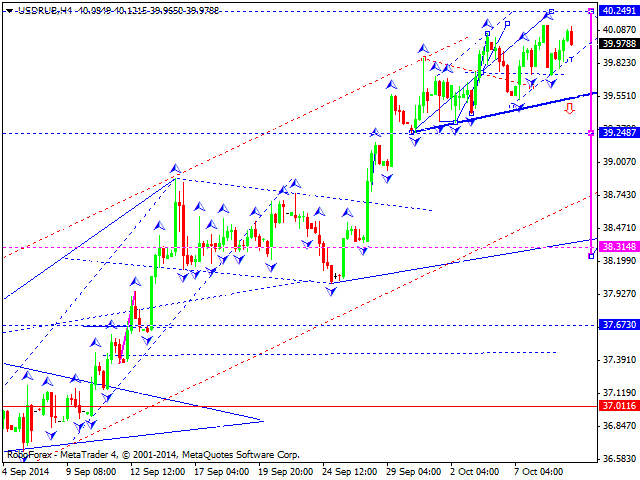 If the pair breaks it upwards, the market will continue growing to reach the target at level of 1.2830. If downwards – continue falling to reach the above-mentioned target of this correction. Later, in our opinion, the market may resume moving upwards. 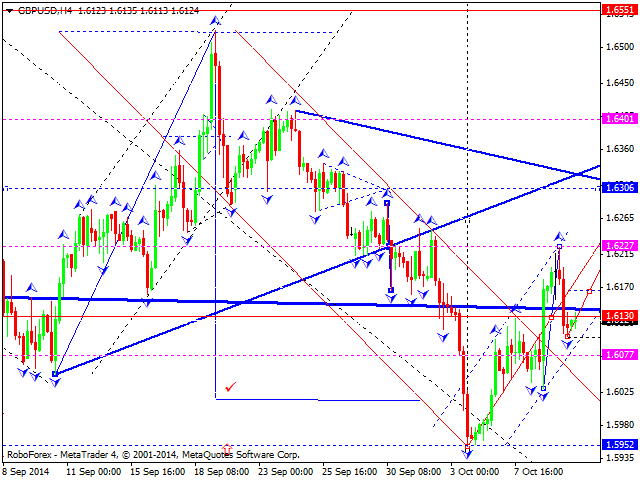 Pound is also moving downwards inside a correction towards level of 1.6077. We think, today the price may form a consolidation channel. If the pair breaks the channel upwards, the market will continue growing to reach a new high. If downwards – continue falling to reach the above-mentioned target of the correction. Later, in our opinion, the market may resume forming an ascending wave. Franc is being corrected towards level of 0.9588. We think, today the price may form a consolidation range. 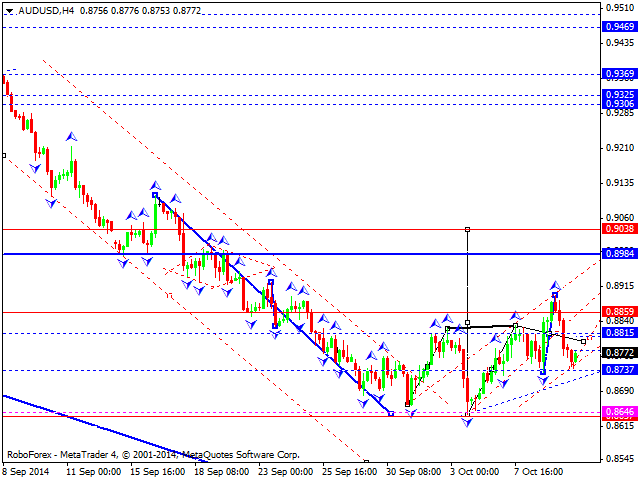 If the pair breaks it downwards, the market will continue falling to reach the target at level of 0.9400. If upwards – continue growing to reach the above-mentioned target of the correction. Later, in our opinion, the market may resume moving inside the downtrend. Yen is still consolidating near the minimums of the second descending impulse, which may be considered as the third descending wave. We think, today the price may break minimums, fall towards level of 107.00, and then form another ascending structure to return to level of 108.00. Later, in our opinion, the market may continue falling inside the downtrend. 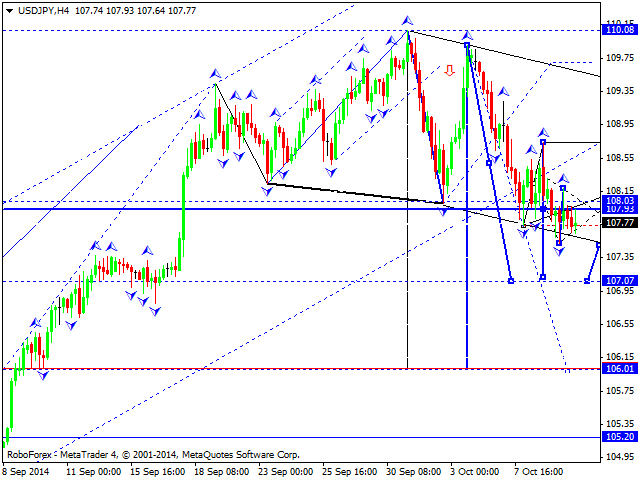 The next target is at 106.00. Australian Dollar is moving inside a descending structure, which may be considered as a correction towards level of 0.8737. We think, today the price may form a consolidation channel. If the pair breaks the channel downwards, the market will reach the above-mentioned target of the correction. Later, in our opinion, the market may continue growing to reach a new high and form a continuation pattern. If the pair breaks the channel upwards, the market may reach a new high very soon. 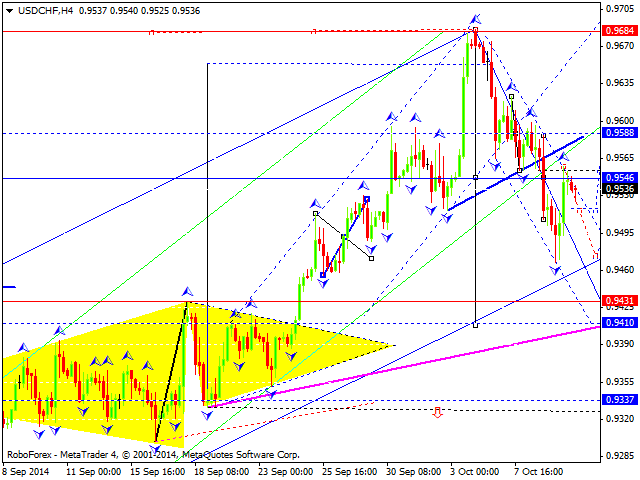 The price is expected to reach the target at 0.8980. Ruble is still moving upwards. We think, today the price may form another ascending structure to reach level of 40.24. Later, in our opinion, the market may consolidate, form a reversal pattern, and start a correction. The first target is at 39.24. Gold is still moving inside a correctional wave. 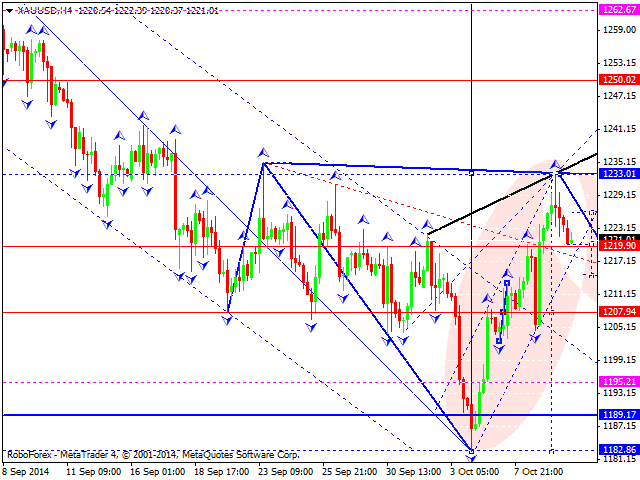 We think, today the price may form a consolidation channel, break it downwards, and reach the target at level of 1208. Later, in our opinion, the market may continue growing to break the maximum and form another continuation pattern towards level of 1250. However, if the market breaks the channel upwards at once, it may continue moving upwards.